The quotation above is from the famous Bill Bernbach. I think it is one of the smartest things I’ve ever heard and is such a great way to truly describe what the word “principle” stands for. The best single example of somebody standing up for a principle (and having it cost them some money) was what my old friend, Wendy Ludlow Clark, did when my agency pitched for the company she worked for. Without saying names of brands or names of agencies, suffice to say that I was the CCO at the “losing agency” she mentions in her article below. I was there the day she came to our office to tell us who had really won the pitch (>ahem<)….and why it went to someone else. 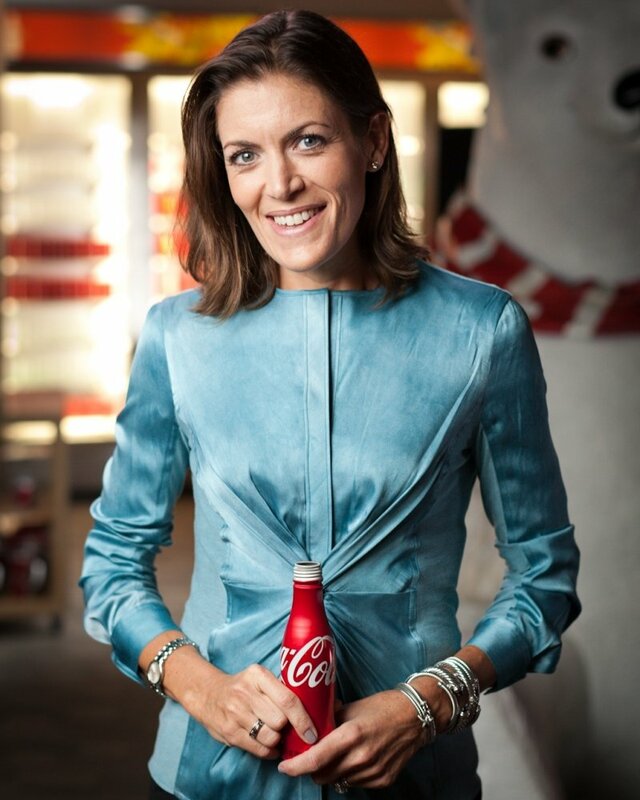 Wendy went on from that day to rise to the highest echelons of a far bigger brand (Coca-Cola) and today, Wendy’s the global CEO at DDB and was named Ad Age 2017 Executive Of the Year. And yet it’s what she did on that day long ago as a junior executive that I will forever remember her. Excerpted below from the site LeanIn, this is an example of someone with principles in a business not famous for them. Early in my career I encountered a situation that challenged my personal ethics and became a Lean In moment that forever shaped my life. I was about 10 years into my career running an agency pitch for a campaign that would almost certainly gain national prominence. I was a director level/middle manager within the organization, but I was leading the campaign, so it was my responsibility to successfully lead the agency review. Accepted practice when you run an agency review is to provide a fair and balanced opportunity for all the competing agencies in the process. Each agency is given equal access to internal knowledge, data, insights, experts and so on. During the review period, agencies are not permitted to curry individual favor, time or insights with company contacts, as it can provide unfair advantage and can also muddy the clarity of decision-making for those involved from the client side. In this instance, as we were ending the agency review (an intense 10 weeks), I discovered that an executive from one of the participating agencies and one of our senior executives had spent extended time together (a weekend golfing) during the review process. Perhaps it was my naiveté, but I was shocked. To me this was, without question, outside of acceptable and appropriate boundaries and significantly compromised the integrity of the review and, indeed, the results. Following corporate protocol, I immediately voiced my concerns to my direct boss. I was disenchanted and disheartened that this could have happened under my watch and my first thought was: How can I ever explain how this happened to the other competing agencies who have worked nonstop, in good faith, for the last 10 weeks? Instead of agreeing with me, my boss essentially told me “sometimes things like this happen in business” and “to be a good soldier.” When I argued my point further, he said the agency decision had been made and that it came not only from him, but from his boss as well. I was stunned. That night I sleeplessly wrestled with this outcome as I weighed my options. The same thoughts played through my head: This is not how you want to work. You know the chosen agency did not win the review. This can be the company’s decision, but it doesn’t have to be yours. Adding to the dilemma was my personal life, including a new marriage and a new mortgage. I gingerly approached my husband about the possibility of separating myself from the decision and, therefore, my job. To my delight, the next morning I found a spreadsheet outlining our current financial situation. While we’d have to make some adjustments, we could meet our commitments without my salary. So that day I went to work and resigned. News of my decision traveled rapidly through the organization. Our CEO, confused about why his advertising director had quit, came to my office to express his disappointment, but I held firm. Within a day, there was press coverage on my exit. That coverage was like a free want ad for a job and I received numerous job offers. I was amazed by the many emails and messages I received from friends and strangers alike congratulating me for “standing up for my values and principles.” And notably, while not a consolation, the “losing” agencies did feel some sense of vindication. Most importantly, I felt proud of myself for standing up for what I believed in. Perhaps the most important learning from this experience that I carry with me today is this: I’m pretty sure at the end of my life no one is going to wax lyrical about some advertising campaign I launched in 1999. But, if I do my best to lead with values, purpose and principles, they just might say that I was a decent person. And to me, that’s a far greater achievement. That is all too rare these days. Thanks for sharing. Got goosebumps reading this. Effing awesome. Its rare here too, and the client side is as bad if not worse than the agency side. Fortunately there are still many who will follow due process – bureaucratic principle if you like. Rare indeed. I’ve only found myself there a few times, but always took the high road; and yes, it did cost me money, time and position in my career. Great read. Thanks Luke. Going to Sarasota High School with Wendy I wasn’t a close friend but did know her well enough to see that she was a person of high moral character, and always thought she was a decent and respectable person. I’m glad to see she’s doing well and stands up for what is the right thing to do. The world needs more people like Wendy. A question for Wendy (whose decision I admire) that will probably never get answered: Have you ever thought about what would have happened if your husband’s spreadsheet showed a different scenario?